Blockchain was revolutionary from the start, but it only garnered mass interest when people understood it could turn a buck. And that in itself is not bad, but the funny thing about money is that it has this subtle quality of corrupting. Bitcoin arose under the premise and promise that financial transactions can be less shady. Gold-rush speculation and swarms of flaky ICO’s challenge that initial utopian promise of a distributed ledger that brings about a post-fiat world. 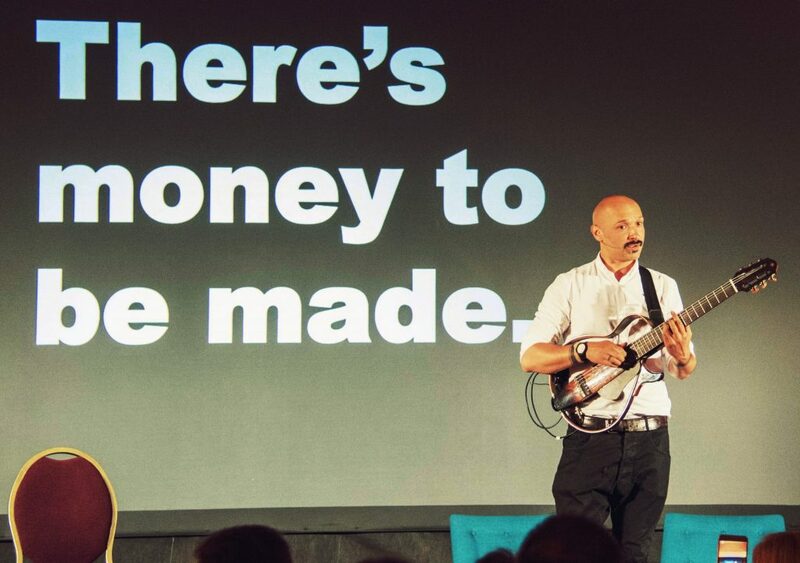 This interactive musical seminar highlights the importance of strong values and cohesive community, without which you cannot self-regulate, change the world, and make some some extra cash.